The campaign asks us all to Speak Up on climate change and renewable energy and to contact our newly-elected MPs to make sure that the challenges facing the world’s poorest people are one of the first things that our local MP has on their agenda, pretty soon after being elected. Jesse Norman is the re-elected MP for Hereford and South Herefordshire and the newly appointed Roads Minister at the Department for Transport. 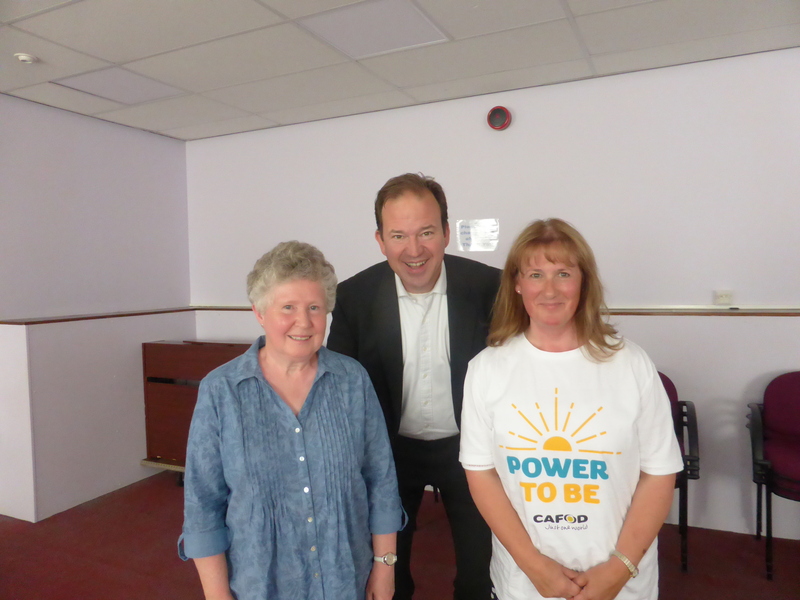 Lis and Therese, both members of a LiveSimply parish group wanted to start a conversation with their local MP about renewable energy – they both live in the Herefordshire constituency. What ‘s it about? And how could you get involved too? 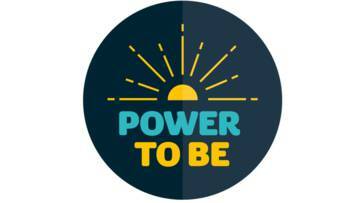 Power to Be is CAFOD’s renewable energy campaign which highlights the fact that one in six people are still living without electricity and the hopes of the world’s children are often a distant dream. 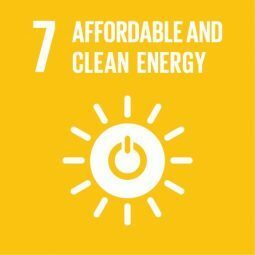 The campaign explains that local, renewable energy is usually the cheapest, fastest and most efficient solution to bring power to the poorest communities. It can help families to lift themselves out of poverty, without harming the world we share. Increased literacy of 15-24 year olds. The campaign card itself is being sent to Melanie Robinson, UK Executive director at the World Bank petitioning her to stay true to the UK’s commitment to tackling poverty and climate change by supporting access to renewable, safe, reliable and affordable energy for the poorest communities. Dr Norman listened attentively and referred us to the Clean Growth plan, anticipated in September 2017. He talked about some target being unrealistic. And carbon budgets allowing us to pollute on a glide path to the targets set. Decarbonising power and being as electric as possible, using renewables. He mentioned the nuclear option being a low carbon technology whether you are in favour of it or not. Dr Norman did not say he was 100% in favour of all electric cars – but was rather more interested in cheaper, lower emission hybrids as he doesn’t think the technology is advanced enough for long journeys. He mentioned that we have the lowest carbon emissions for the last 100 years. But more needs to be done to lower the economic and social costs of renewables and to continue to explore other possibilities e.g. hydrogen, which is a carbon neutral gals. Electricity is still very expensive. He also talked about mitigation and adaptation. Air quality in this country is becoming a concern and Jesse mentioned the Air Quality Plan which is due to be launched this month? He also said that there is a possibility that low emission zones could be introduced at some point, but they won’t be popular. He briefly mentioned the introduction of scrappage for diesel cars but questioned if this only benefitted the middle class. Lis mentioned what actions we could take ourselves in the UK to mitigate our own effects on the environment. She also talked to Jesse about the world’s first solar panelled road, which is 1 km long in a village in Normandy in France which will be used by two thousand motorists a day during a two year test period to see if it can generate enough energy to power street lighting in the village of 3,200 residents. She also drew Jesse’s attention to solar powered cycle paths, one which was opened in 2014 in The Netherlands which has generated 3.000 kWh of energy which is enough to enough to power an average family home for a year. Despite this being an expensive option at the time, these innovative solutions need to be explored further as population increases and cities to become even larger and energy hungry. 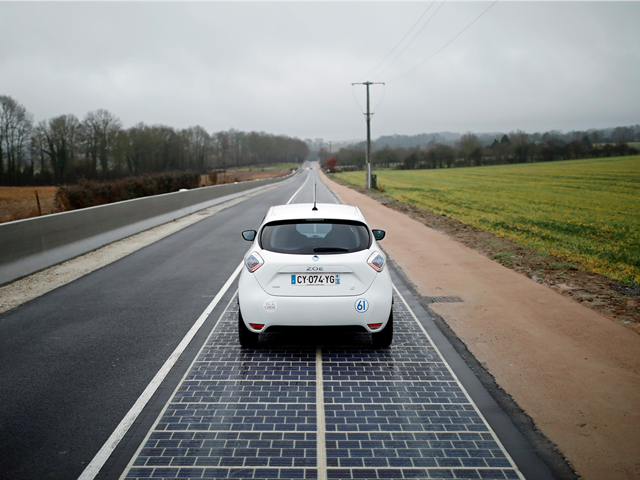 We also asked had the government considered solar panels as road surfacing – as in other European countries – France, the Netherlands are trying them. If not roads, then cycle paths, bus lanes, hard shoulders. Car parks or bus stations? This would boost our renewable energy quota by providing cheap solar energy to surrounding areas. In addition, income from the energy could be used to maintain the roads? We also mentioned powering electric trains, like HS2. Jesse seemed genuinely interested in this idea and listened intently – we’ll see. Gave him a copy of the MP briefing and the Power to Be campaign card – he doesn’t ever sign petitions but he agreed to our request for a photo. It’s hard to deny that huge investment is needed for safe, affordable, renewable energy which doesn’t harm our one, fragile planet. Lis and Therese talked with Dr Norman about how the developed and developing countries of the world will both be faced with huge decisions about how to provide sustainable solutions to meet society’s growing energy needs. They also discussed how the lack of access to renewable energy impacted on the education of children. Climate change was inevitably brought into the conversation and how the very real impact of climate change is already being experienced in many parts of the world. The challenge of providing access to modern forms of energy for all, especially in the developing world leads us back to some stark facts. According to the latest International Energy Agency assessment, about 1.3 billion people currently have no access to electricity worldwide, 97 % of whom live in Sub-Saharan Africa and developing Asia. That’s four times the population of the USA and more than twice the population of the European Union countries. Advancements in clean energy offer improved resilience and reliability for the world’s poorest communities, many of who live in remote or rural areas that are the most likely to be hit by extreme weather conditions. More conversations are needed about how we move to a low-carbon world. Electric cars, our own water consumption, meat-free diets, addressing our consumer lifestyles, recycling, we can all live more simply, so that others may simply live. LiveSimply group members recognise that Pope Francis’ encyclical, Laudato Si’ helped to change the conversations we are having. Watch a short Laudato Si’ animation to get a snapshot of the encyclical. The moral dimension of clean energy and the drive towards practical solutions for all must continue apace. We can work together, to meet the challenge. Dr Norman was very gracious and listened very attentively to our concerns. We hope and pray that he will play his part in lobbying Melanie Robinson, the UK’s representative at the World Bank. So why not start a conversation with your MP. We have a great guide which can give you some great tips on writing to your MP and here’s a short video which where you can hear all about what being an MPC actually entails. 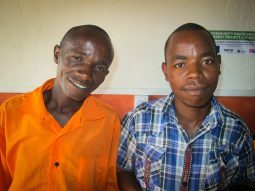 You have a voice and you can use it to speak up for the world’s poorest, voiceless communities. This entry was posted in Campaigning, Fundraising, Volunteering and tagged Air Quality Plan, Archdiocese of Cardiff, CAFOD, CAFOD Campaigns, Clean Growth Plan, climate change, decarbonising, Herefordshire, HS2, hydrogen, Jesse Norman MP, Kaltech, Laudato Si, livesimply, Melanine Robinson, Monmouth, MPC, Mwingi young developers, nuclear power, Pope Francis, Power to Be, renewable energy, Ross-on-Wye, solar power, Sustainable Development Goals, World Bank by twarwickcafod. Bookmark the permalink.